Effective Management Adults create a calm, orderly environment that promotes autonomy and allows students to focus on learning. Developmentally Appropriate Adults use knowledge of child development, along with observations of students, to create a developmentally appropriate learning environment. For over 30 years (over 20 years here at OCM BOCES), Responsive Classroom has been empowering educators by giving them the skills they need to ensure a high-quality education that will help all students thrive in our highly connected, interdependent world. What we know and believe about our students–individually, culturally, developmentally–informs our expec­tations, reactions, and attitudes about those students. Partnering with families–knowing them and valuing their contributions–is as important as knowing the children we teach. Morning Meeting – Everyone in the classroom gathers in a circle for twenty to thirty minutes at the beginning of each school day and proceeds through four sequential components: greeting, sharing, group activity, and morning message. Establishing Rules – Teacher and students work together to name individual goals for the year and establish rules that will help everyone reach those goals. 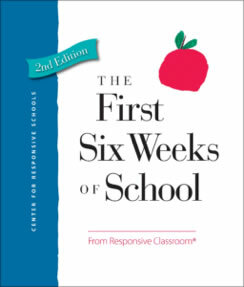 Interactive Modeling – An explicit practice for teaching procedures and routines (such as those for entering and exiting the room) as well as academic and social skills (such as engaging with the text or giving and accepting feedback). Teacher Language – The intentional use of language to enable students to engage in their learning and develop the academic, social, and emotional skills they need to be successful in and out of school. Logical Consequences – A non-punitive response to misbehavior that allows teachers to set clear limits and students to fix and learn from their mistakes while maintaining their dignity. Interactive Learning Structures – Purposeful activities that give students opportunities to engage with content in active (hands-on) and interactive (social) ways. Academic Choice – Is a way to structure lessons and activities and allowing student choice of the “what” and/or the “how”. Classroom Organization – A well-organized classroom makes it easier for productive learning to take place. Guided Discovery – A proactive strategy for introducing classroom materials. Collaborative Problem-Solving – Role-Play, Class Meetings, Problem-Solving Conferences and Student-to-Student Conflict Resolution structures to allow students to collaboratively handle school problems. Energizers – Short, playful, whole-group activities that are used as breaks in lessons. Quiet Time – A brief, purposeful and relaxed time of transition that takes place after lunch and recess, before the rest of the school day continues. Closing Circle – A five- to ten-minute gathering at the end of the day that promotes reflection and celebration through participation in a brief activity or two. 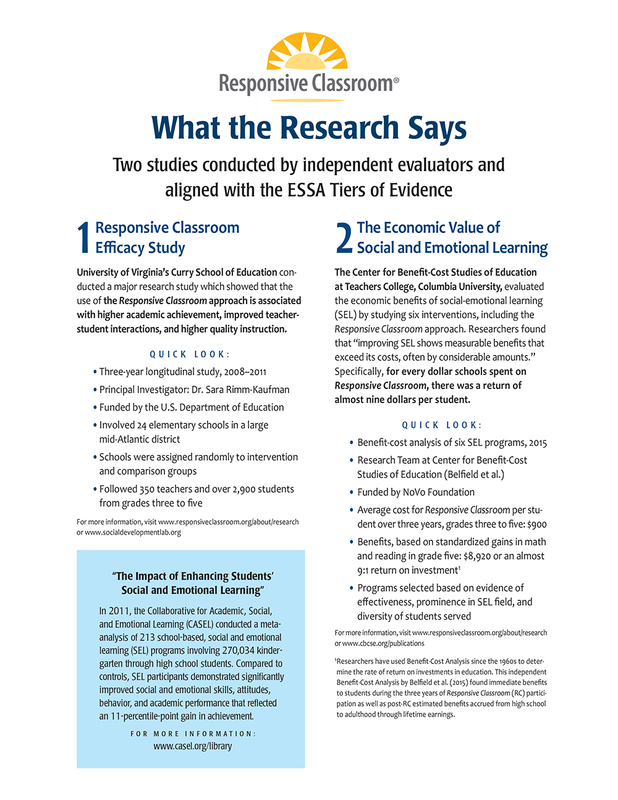 Responsive Classroom was selected as one of the most well-designed, evidence-based social and emotional learning programs with potential for broad dissemination to schools across the U.S. by the Collaborative for Academic, Social, and Emotional Learning (CASEL). 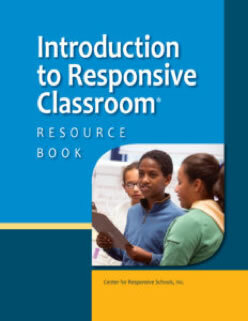 Responsive Classroom also received distinguished achievement awards for professional development resources from the Association of Educational Publishers and Independent Book Publishers Association. 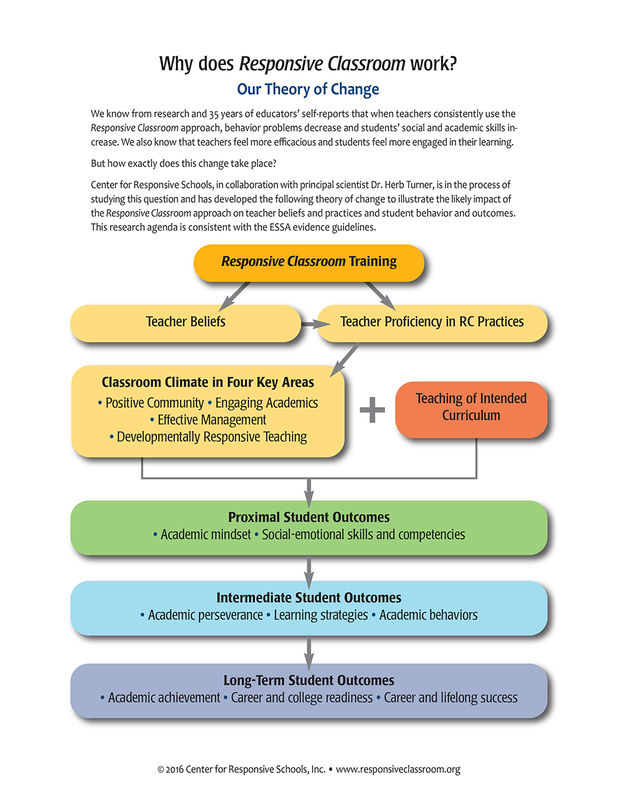 Since the early 90’s, OCM BOCES has had a strong relationship with the Center for Responsive Schools (CRS), developers of the Responsive Classroom approach. We have been a licensed agency to provide Responsive Classroom training and have had certified trainers for almost 30 years! Regional OCM BOCES workshops are offered via MLP throughout the year! School Districts can hold Responsive Classroom trainings in their districts upon request. You will also have an opportunity to work closely with colleagues, experience Responsive Classroom strategies as an adult learner, and see video clips of Responsive Classroom teachers implementing the strategies with students. Students learn best from lessons that connect with their lives and interests. You’ll learn how to design appropriately challenging, active and interactive lessons that deepen student learning. A positive, respectful approach to discipline can transform your classroom. Create a positive climate for learning and discover proactive approaches to misbehavior that will help to keep the focus on learning and get your students back on track when disruptions occur.